My aunt has been kidnapped by vampires, and it’s up to me to save her. Only… I had no idea vampires existed. None. Nada. I’m more of a reader than a fighter, and even though I’d been wishing to escape my boring existence in the middle of nowhere, I’d give anything to have it back now if it meant my aunt was safe. So, this was an interesting read. There are a lot of gaps and strange conclusions drawn that made this much more difficult to relate to. I think that this author has read a lot of vampire books or seen a lot of vampire movies because the dialogue is very cheesy. Charlize (Charlie) is very naïve in this book. Her aunt Rachel has kept her so sheltered that Charlie is screaming to get out. She wants to attend college away from her aunt. However, when people come to the house and kidnap her aunt, Charlie will have to figure out how to save Rachel. This is where the story gets very strange. Sebastian is a vampire who is tasked with figuring out if someone is dead or alive for his queen. However, there is a weird connection between him and Charlie. I think the author was trying to create a mystical relationship with romance, but it just wasn't very successful. While I liked figuring out who is going to belong to whom, the ultimate goal of this book should have been who will win the war. While this wasn't the best of starts, I am wondering how this will end, so I think I would read a follow up. 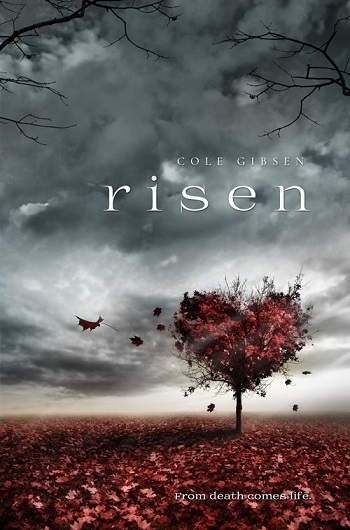 Reviewers on the Wicked Reads Review Team were provided a free copy of Risen (Blood Eternal #1) by Cole Gibsen to read and review.